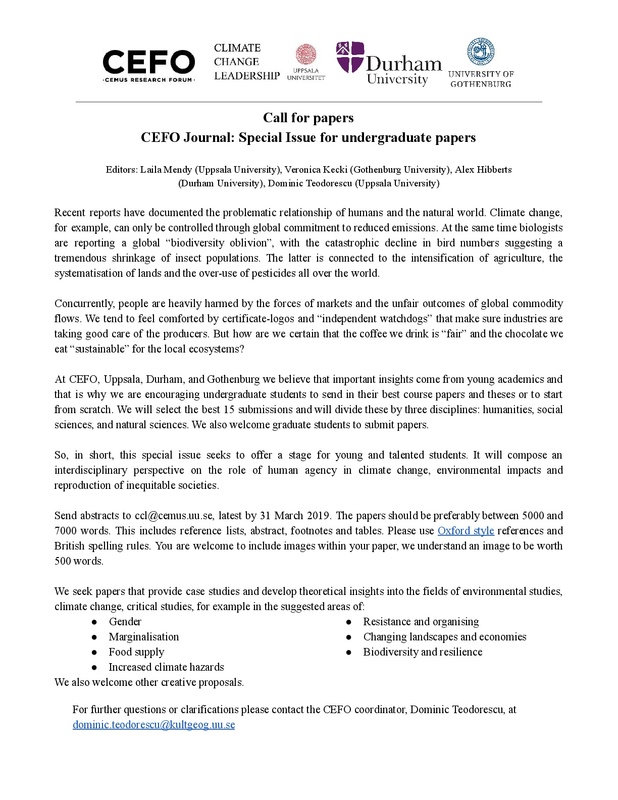 CEMUS Research Forum (CEFO) is putting together a journal Special Issue for Undergraduates (and also Master students) to give them/us a voice about sustainability issues! Submit your best course papers, thesis, or an original essay. CEMUS Research Forum (CEFO) is a research forum for PhD students, by PhD students, focused on facilitating interdisciplinary discussions around sustainability and environmental change. Our main activities include running a bi-monthly seminar series featuring talks and workshops from members and invited speakers. We initiate and run student-led PhD courses and offer opportunities for getting feedback for your research from a wider audience.